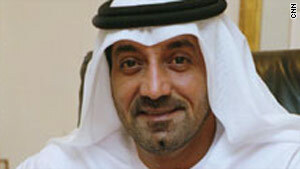 Sheikh Ahmed bin Saeed Al Maktoum, Chairman of Dubai's Supreme Fiscal Committee on Dubai's fiscal policies. Over the past decade Dubai was at the center of the region's real estate boom. Now the Emirate is at the heart of a major real estate restructuring. As Dubai World works out its debt repayments with creditors, MME takes a look at the individual investors who are fending for themselves with property developers. It's less than two months since Dubai World announced its long awaited $23 billion restructuring plan. The proposal is still being worked out but it is providing a greater sense of transparency. This week in a special edition from Dubai, MME sat down with Sheikh Ahmed bin Saeed Al Maktoum, Chairman of Dubai's Supreme Fiscal Committee that oversees Dubai's fiscal policies.